1 Comment March 20, 2018 Rachael A.
Alda and Elmina Wilson were sisters and Iowa natives who held the distinction of being the first female graduates from Iowa State‘s Civil Engineering program. Neither was the first woman in the United States to formally study Civil Engineering – that honor belongs to Elizabeth Bragg of California. Nevertheless, Elmina was the first woman in the country to earn a master’s degree in Civil Engineering, and she and her sister were also the first women to earn their living as successful full-time professionals in the field. Elmina earned her B.S. 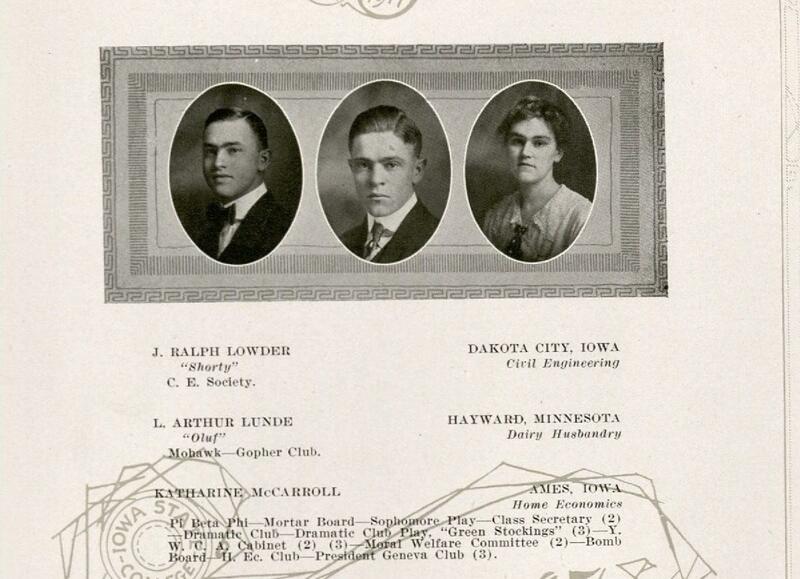 in Civil Engineering from Iowa State in 1892. Alda soon followed in her footsteps, earning her B.S. in 1894, the same year Elmina made history by graduating with an M.S. and becoming the first female instructor in the department. During their time in school, both sisters were members of Pi Beta Phi, and both supplemented their ISU coursework with practical summer internships for various architectural and engineering firms in Chicago. Elmina also took advanced courses at Cornell, and Alma completed a masters at MIT, after which she took a job in Chicago, where she worked until 1904. Elmina’s time as an instructor at ISU spanned over a decade post-graduation. She worked as an Assistant of Civil Engineering from 1892-1897, as an Instructor of Civil Engineering from 1898-1902, and an Assistant Professor of Civil Engineering from 1902-1904. 1894 Bomb yearbook, page 54. Elmina is listed as a department instructor even before she had officially graduated with her M.S., as she taught while pursuing her graduate degree. 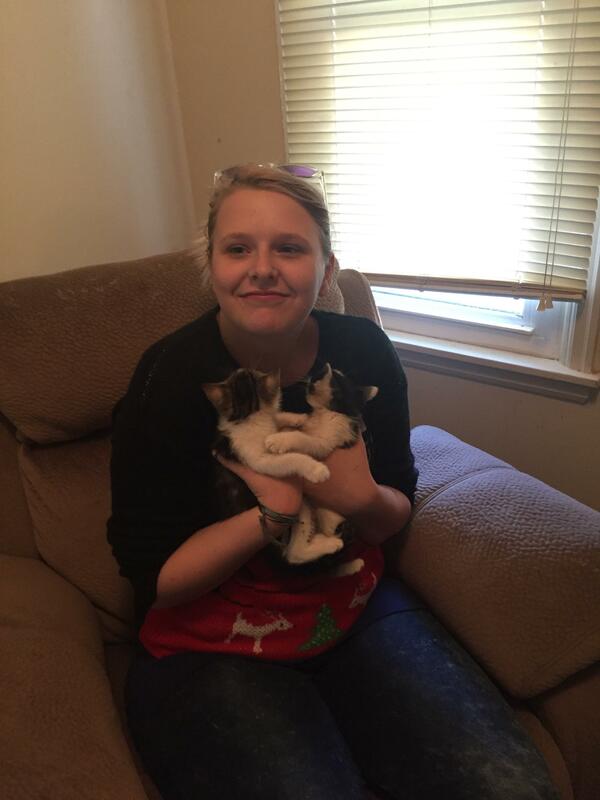 While an instructor at ISU, Elmina also periodically collaborated on design projects with her supervisor and mentor, Anson Marston, the head of the Civil Engineering department. Most notably, she contributed to designs of the Marston Water Tower, now on the National Register of Historical Places. 1899 Bomb yearbook, page 23. She has no portrait in the faculty section, but Elmina is listed as assistant professor directly under the department chair Anston Marston. From 1903 to 1904, Elmina took a sabbatical from teaching to reunite with her sister Alda (who had been working for some time in Chicago) for a trip to Europe. The sisters took the opportunity to study and draw, as well as marvel at, great European architecture. Happily, the ISU University Archives collection of Alda and Elmina’s papers contains all of their sketchbooks and journals from this period. 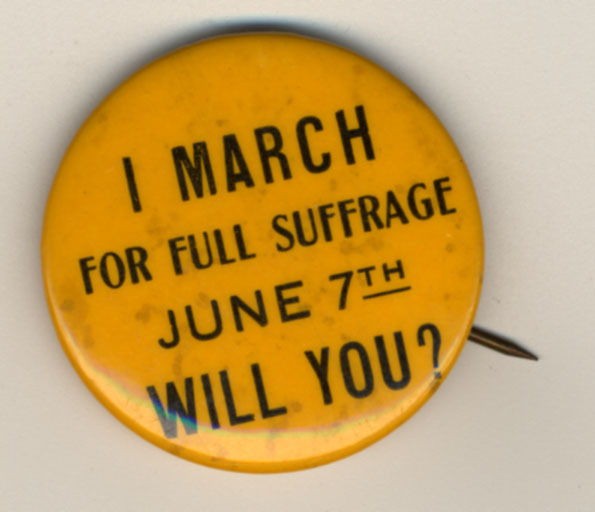 Following their trip, the Wilson sisters decided to move to New York City together to pursue more hands-on work experience, as well as to become active in the movement for Women’s Suffrage. While there, Alda designed architecture, and Elmina first took a job with the James E. Brooks Company and then, several years later, with Purdy and Henderson. The latter company was associated with the era’s foremost innovators in engineering design and headed by a man nicknamed the “father of skyscrapers.” Among other projects she completed at P&H, Elmina is reported to have collaborated with another newly-minted female engineer, Marian Sarah Parker, on designs for the Flatiron Building. Elmina’s life was cut tragically short in 1918 due to illness. She was 48 years old, childless, unmarried, and at the height of her career when she died. A 2010 article in the journal Leadership and Management in Engineering points out that she also just missed the passing of the 19th Amendment, for which she fought actively, by a mere two years. Alda, however, lived a long and varied life. Despite having spent much of her career in her sister’s shadow, and despite having been deprived, by an accident of birth-order, the historical notoriety of being “first,” she continued to prove herself resourceful and innovative, even in the wake of her grief. 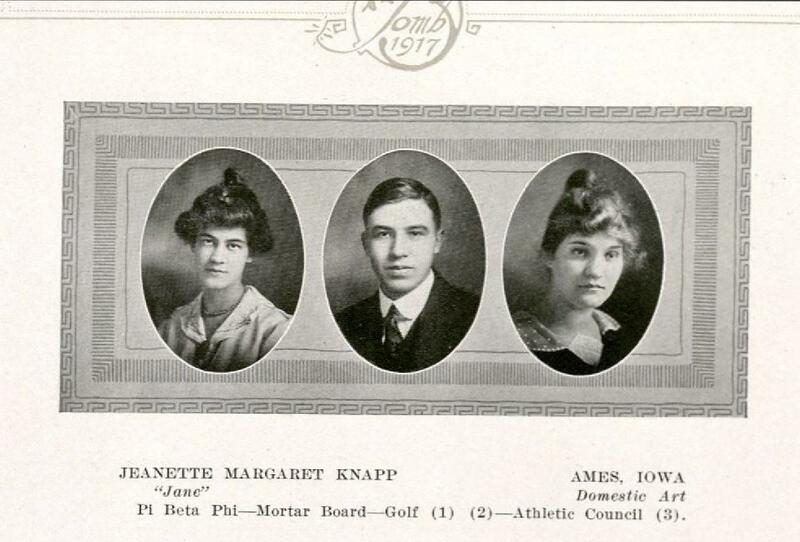 She moved back to Iowa after Elmina’s death, only to find that the Iowa Department of Transportation (IDOT) was suffering from a shortage of competent drafters, as most of the men who had previously been employed in the office had shipped overseas to fight World War I. So Alda became the superintendent of the first ever Department of Women Drafters in Ames. Shortly thereafter, having strengthened a friendship with fellow ISU graduate and women’s rights leader Carrie Chapman Catt, Alda became Catt’s personal secretary in addition to her other professional responsibilities. By the time her own death arrived in 1960, Alda, aged 87, had advanced to the powerful position of executive secretary and executor of Catt’s estate. It is thanks to her that many important documents related to the women’s rights movement from the early 20th century now reside at the Library of Congress. So Maria Gaetana Agnesi writes in the dedication of her major work Instituzioni analitiche (Analytical Institutions) to Empress Maria Teresa of Austria, as translated by John Colson in 1801. It was typical for an author to dedicate a book to a monarch, hoping to win favor and patronage, but here Agnesi (although with the usual flattery and praise) also speaks as woman to woman in a world dominated by men. 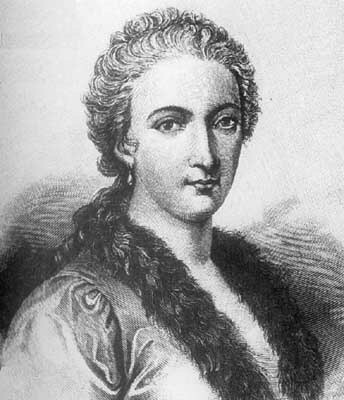 Agnesi (1718-1799) is considered the first woman mathematician, born in Milan, Italy to a wealthy merchant. She was a highly intelligent child, who spoke fluent French by the age of 5, knew Latin by age 9, and by 11 added Greek and Hebrew to her classical language repertoire as well as several modern languages. Her father provided her and her younger sister with tutors, and he liked to show her off at gatherings in his home with scholars and celebrities. She presented theses on a number of subjects and then defended them in academic disputations with the scholars present. These discussions were held in a variety of languages, and she answered in the language in which she was addressed. In 1738, she published Propositiones philosophicae, a compilation of her defense of 190 theses that she gave at a gathering as a kind of capstone to her studies. Following this publication, she announced that she wished to join a convent. At her father’s objection, she reconsidered, but insisted on living a simple life devoted to study and contemplation and free from social obligations. 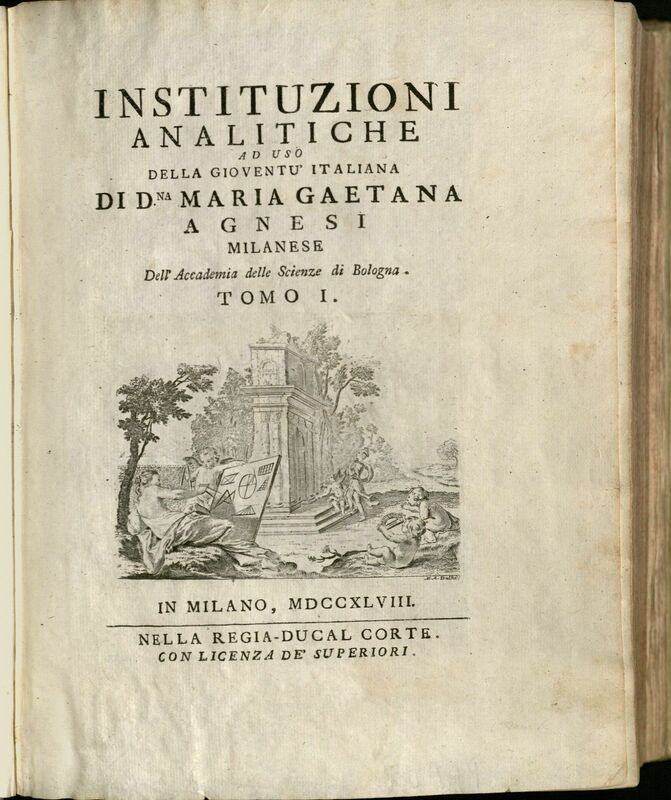 At this time she turned her attention to studying mathematics, and after ten years, she published Instituzioni analitiche ad uso della gioventù italiana (1748), or Analytical Institutions for the Use of Italian Youth. This volume, written in Italian rather than Latin, and presented as a handbook for educating young people in mathematics, was noted for its clarity and comprehensiveness. She treated not only algebra and geometry, but also the newer fields of integral and differential calculus. Title page of Instituzioni Analitiche. She received much acclaim for the book. Maria Theresa of Austria, to whom she dedicated the book, sent Agnesi a diamond ring and letter. Pope Benedict XIV also sent a letter along with a gold medal and gold-and-gemstone wreath. He also appointed her to the chair of mathematics and natural philosophy at the University of Bologna, which she accepted as a purely honorary position. In spite of all this, Agnesi continued to withdraw from society and mathematical work and worked more and more for the church and the poor. Later in life, she became the director of a poorhouse, and held that position until her death. 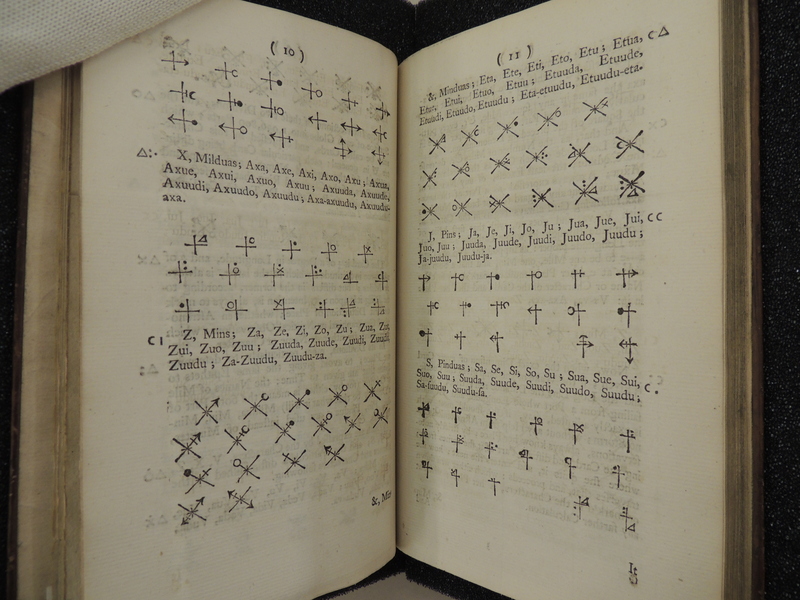 Table 10 from volume 1 of Instituzioni Analitiche. 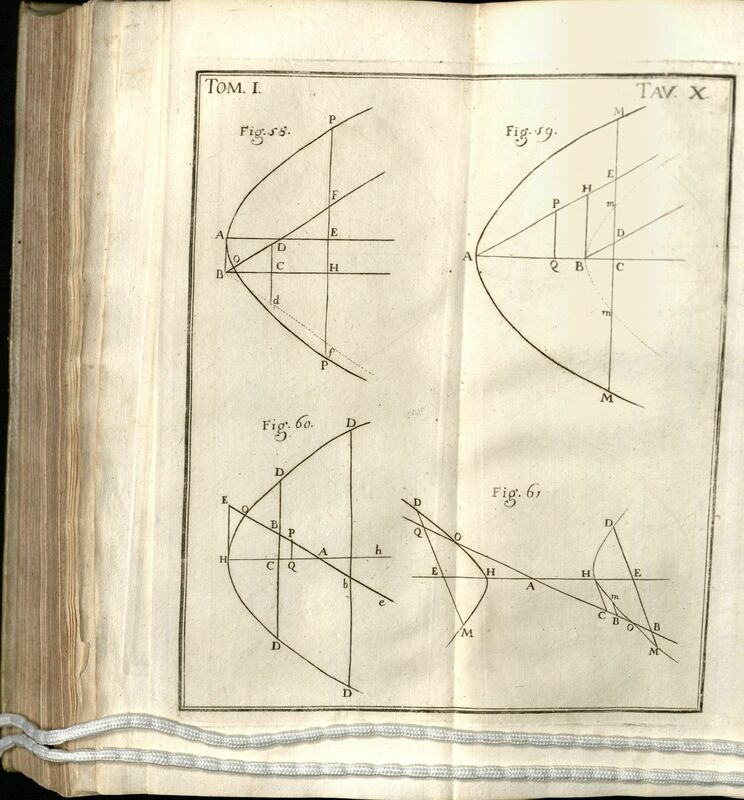 Iowa State University copy of Agnesi’s 2 volume work. The ISU library copy of Instituzioni analitiche includes the bookplate and signature of Henry Bickersteth in each of the two volumes. 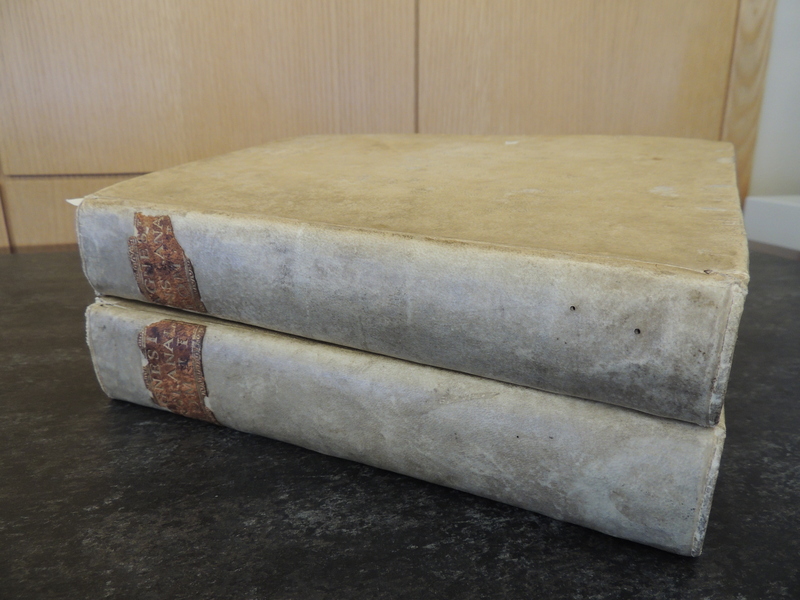 It is bound in simple vellum with spine labels. Henry Bickersteth (1783-1851) was an English lawyer who, in 1836, became a member of the Privy Council and was created Baron Langdale, of Langdale in the County of Westmoreland. Bookplate reads, “Henry Bickersteth, Lincoln’s Inn.” Handwritten notation reads, “I e | 20.” This is likely a shelf mark. Do you know why this would be? Leave a comment! Agnesi, Maria Gaetana. Analytical institutions, in four books, originally written in Italian. Translated by John Colson, London: Taylor and Wilks, 1801. “Bickersteth, Henry, Baron Langdale (1783-1851).” Dictionary of National Biography. Edited by Leslie Stephen. London: Smith, Elder, & Co., 1885-1901. Hardy, Thomas Duffus. Memoirs of the Right Honourable Henry lord Langdale. London: R. Bentley, 1852. Harvey, Joy and Marilyn Bailey Ogilvie. “Agnesi, Maria Gaetana (1718-1799).” The Biographical Dictionary of Women in Science, Routledge, 2000. 14-16. Kramer, Edna E. “Agnesi, Maria Gaetana.” Dictionary of Scientific Biography, Scribner, 1981. 75-77. 1 Comment March 8, 2018 Rachael A. Last month, a SCUA blog post on Black History Month and audiovisual recordings referenced the problem of “cultural memory gaps,” which is to say, gaps in the historical record that came about as the direct result of exclusionary attitudes and practices of the time. Sometimes, the loss or absence of a record is noticeable, as was the case with Ralph Ellison’s undocumented visit to Iowa State University. Sometimes, however, this loss or absence takes the form of lost potential, as is the case when members of underrepresented groups are systematically denied access to education, opportunity, and association that might have allowed them to better develop their talents in the first place. Traditionally, Women’s History Month draws attention to the achievements and contributions of extraordinary individuals who proved exceptions to the rule of their time. It is equally important, however, to remember why so few achievements and contributions exist (at least, in documented form) to celebrate. Today, therefore, we are going to look at material which evidences some discriminatory practices and attitudes connected with ISU history. The first example is a rejection letter from the Vet Med school, dated 1957. The picture below features a photocopy of the original letter, with the name of the individual to whom it is addressed redacted for privacy purposes. The photocopy also contains markings from a patron who once included the letter in a class guide and wished to draw special attention to the justifications offered for the rejection. Notice how none of the justifications for rejection reference the applicant’s personal qualifications, but instead emphasize a desire to give male applicants priority consideration based exclusively on their gender. The practice of discriminating against qualified applicants based on gender ended shortly thereafter, in 1960. Unfortunately, though, the attitudes which shaped the original policy seem to have persisted within the institution beyond the following decade, as there is later evidence of discriminatory practices that limited female students’ access to opportunities for professional development in more subtle ways, even after they had been admitted. For example, we have a piece of correspondence from 1971, written in the name of the Osborn Research Club and signed by distinguished professors in animal husbandry and bacteriology, one of whom was dean of the graduate college at the time. The purpose of the letter was to establish unwritten policies in response to a challenge, though it is unclear whether this was common practice, as Osborn did not have a constitution at the time of founding. The Osborn Research Club is a prestigious, now nearly-century-old, group on campus. It is not merely a student club or an honorary, but rather an academic, discussion-based, professional organization, intended to stimulate debate among active researchers in various branches of science. Unfortunately, certain matters were not up for debate. It is especially interesting to note that, despite the authors’ confidence in the absolute truth of their assertions, there was a pointed reluctance to open this question up for discussion among their reportedly objective-minded members. In fact, the authors of this letter – who, incidentally, signed themselves as “The Patriarchs” – burdened their membership with the responsibility of raising the issue in the first place, perhaps hoping it would simply not come up during their time in office. But, indeed, the patriarchs‘ hesitance to democratize the issue and create “wind” seems to have been well-founded, as the young men of the club voted to admit women in 1972, the year immediately following. Today, the Osborn Research Club counts numerous female researchers among its officers and members. Nor is this the only moment in ISU history when students have stood up to their elders in the name of a social justice cause. 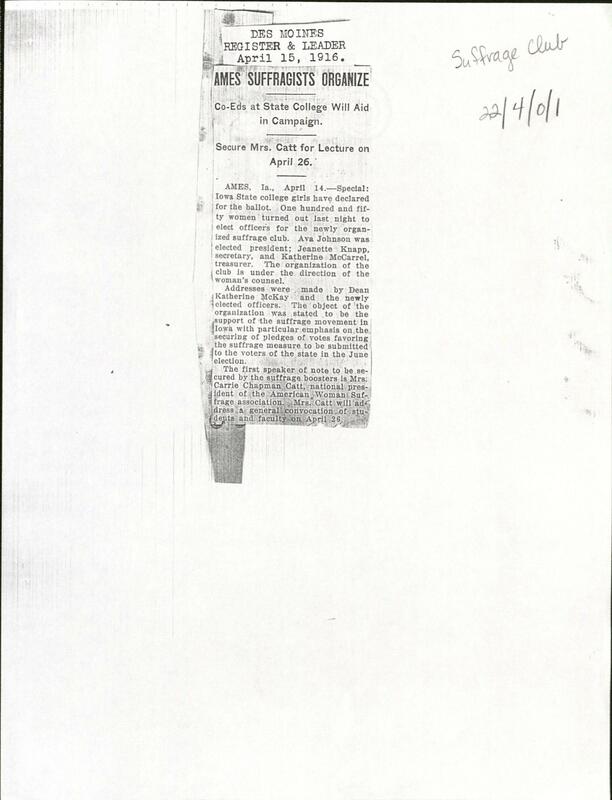 In the summer of 1943, the ISU chapter of Mortar Board, then an honor society for senior women (now a co-ed honorary for upper-classmen), initiated a letter-writing campaign to debate a national board ruling, which had excluded a highly-qualified black student from joining the Ohio State University chapter, even though the girl’s classmates had already unanimously voted her in. Sadly, we have little evidence on the outcome of this specific incident. The folder contains only a reply from the national president, along with a note on onion skin paper from an unidentified alumnae association. Both the president and the alumnae repeatedly, almost redundantly, classify the matter of whether or not to admit black students as a “problem,” find the University of Washington chapter’s tone “belligerent,” and generally agree with the ISU chapter that such policies, such “problems,” are best decided upon at the local level. There is no indication of whether or not Ohio State permitted the girl to join Mortar Board, let alone whether she had any remaining desire to do so. 1). Despite what the first two documents examined in this blog post imply, the attitudes and prejudices which shape exclusionary practices, at ISU and elsewhere, are not, and have never been, the sole property of men. Women of color have faced systematic exclusion much longer than, and frequently at the hands of, white women. 3). The missing pieces from all of these stories are the thoughts, reactions, and even identities of the women whom these exclusionary policies impacted. All of these individuals must have had some perspective on what had happened to them and why. All of these individuals had lives before and after they butted up against the policies. But their stories are filtered exclusively through the words of their oppressors and/or, occasionally, the people who chose to stand up for them. This is unfortunate, because it frames our entire knowledge of these women as victims who required saving, and there is no evidence that this is how they saw themselves. For all we know, they may have been glad to discover upfront how prejudiced these organizations were, or what a potentially toxic environment they had escaped. A number of them may have gone on to be very successful in the context of other institutions, other organizations, or in other fields. Without hearing the story from multiple sides, we have no way of knowing what precisely was lost. The real loss in all of these cases, then, is the institution’s loss, the archives’ loss, the historical record’s loss. Not only was ISU denied many opportunities to boast a role in shaping young talent, but current and future historians have been denied the opportunity to gauge with any accuracy precisely how much damage these exclusionary policies caused, or to whom. All we know for certain is that they existed, they were implemented, and why. Pages of Squire’s Proposal showing symbols of her own invention. Squire, Jane. A proposal to determine our longitude. London: Printed for the author, and sold by S. Cope … and by the Booksellers of London and Westminster, 1743. Call number: QB225 S66x, 1743. Women’s History Month was established to honor the contribution of women to society, and Jane Squire was not at all shy about putting herself forward as a women with a contribution to make. Squire was an eighteenth century British woman and the only woman to participate openly when the British Parliament passed the Longitude Act in 1714 that offered a reward to whomever could establish a workable method for determining longitude at sea. Latitude was much easier to calculate than longitude, and the inability to accurately determine a ship’s east-west location sometimes resulted in shipwrecks. And later she writes, in a frequently-quoted passage, “I do not remember any Play-thing, that does not appear to me a mathematical Instrument; nor any mathematical Instrument, that does not appear to me a Play-thing: I see not, therefore why I should confine myself to Needles, Cards, and Dice; much less to such Sorts of them only, as are at present in Use” (31). 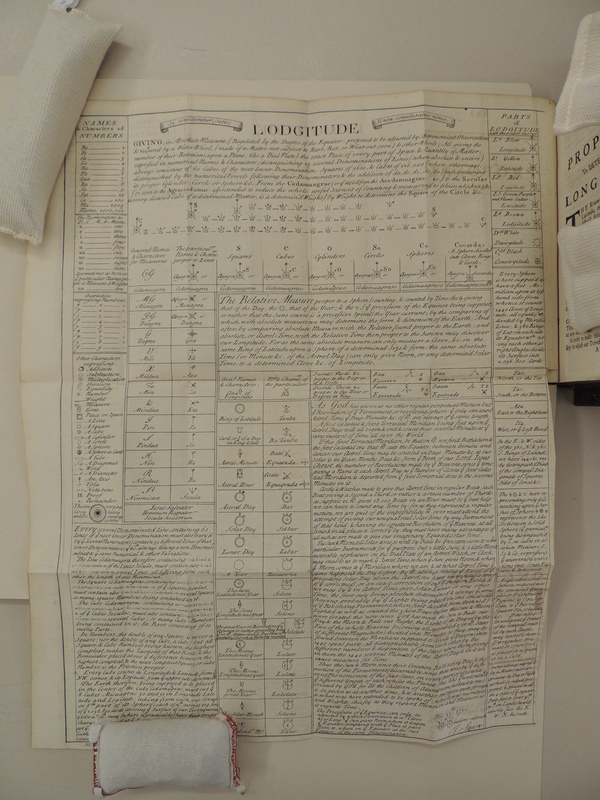 If you are interested in learning more about Squire’s unusual and sometimes difficult life, I highly recommend the blog post, “The Lady of the Longitude: Jane Squire,” from the Centre for Research in the Arts, Social Science and Humanities (CRASSH) at the University of Cambridge. 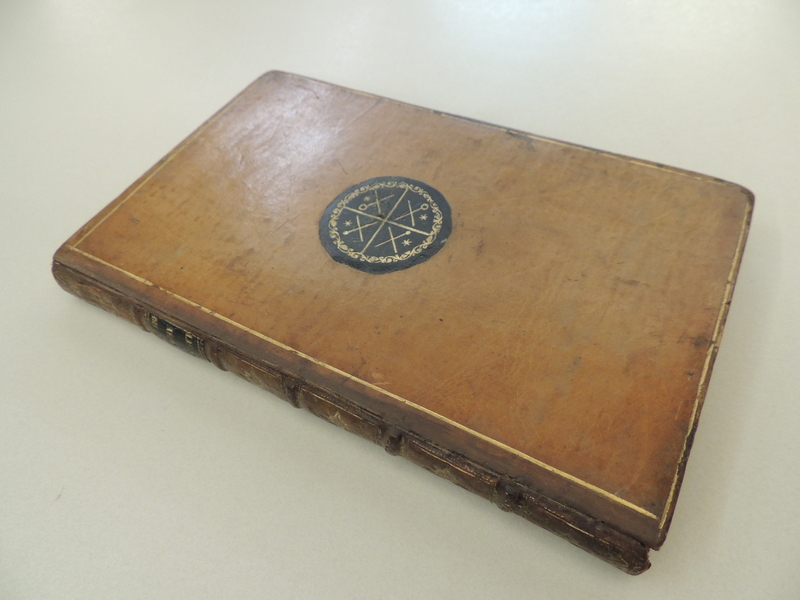 Our copy of Squire’s Proposal is a second edition, bound in leather and decorated with some unusual symbols that seem to be Squire’s invention and can be seen within the text in the image that heads this post. According to the aforementioned CRASSH blog post, this is the common binding for this book, which is interesting at a time when most books were sold unbound. Front cover of Squire’s Proposal, showing symbols stamped into the leather binding. Inside the front cover, there is evidence of an interesting provenance, or ownership history, for our copy, indicating that it was owned by at least two notable people. Two bookplates inside ISU’s copy of Squire’s Proposal. The round armorial bookplate in the center has the words “White” and “Wallingwells” in the circle and appears to belong to the White Baronetcy of Tuxford and Wallingwells in County of Nottingham, England. Sir Thomas Woollaston White, 1st Baronet, lived from 1767-1816, and could easily have added this book to his library. The plain name plate reading “Harrison D. Horblit” indicates the noted collector of rare books in the history of science, navigation, and mathematics. Horblit is the author of One hundred books famous in science: based on an exhibition at the Grolier Club (call number: Q124 H781o), now a common reference book for rare book collectors and librarians–though it does not include Squire’s Proposal. 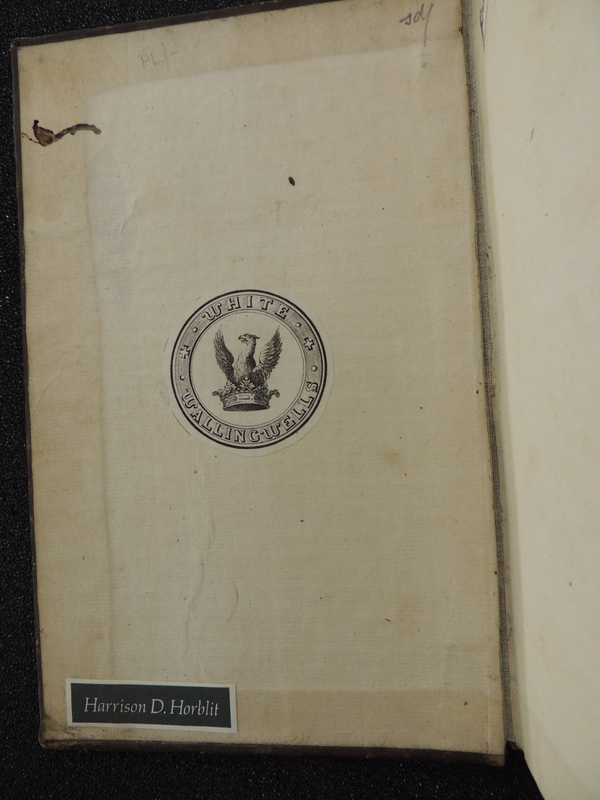 It is pretty exciting to have a book with such an interesting provenance! The copy also includes the fold-out summary of the proposal. Fold out summary of Squire’s proposal bound into the front of the book. This book presents an interesting element in the history of navigation and a woman who was not afraid to tread in new paths. “The Lady of the Longitude: Jane Squire.” CRASSH blog, Posted 1 Dec. 2014, CRASSH: Centre for Research in the Arts, Social Science and Humanities, www.crassh.cam.ac.uk/blog/post/the-lady-of-the-longitude. Accessed 28 March 2017. When reading the Iowa State Daily today I was pleased to see an article on Pat Miller and her role in building the ISU Lectures Program. It is a vibrant program and has had as many as 177 lectures in a year. The article mentions Gloria Steinem‘s participation in the ISU Lectures Program. I thought it would be fun to share an article about Gloria Steinem’s first lecture from the Bomb, the Iowa State University yearbook printed from 1894-1994. If you didn’t catch her previous lectures, you are in luck! Gloria Steinem is returning to campus, on October 11. Pages 92-93 of the 1985 Bomb. The white string vertically crossing page 93 is a weight. We use weights to gently hold down pages without putting undue pressure on the spine of our books. The pages describe Women’s Week ’84 at ISU, pictured are Gloria Steinem at her “Everyday Rebellions” lecture, people protesting Steinem’s lecture, and the prediction run. Drop by the Reading Room to check out the Bomb! We’re open Monday – Friday from 9-5. You can also view all of the Bombs online, thanks to Digital Initiatives!